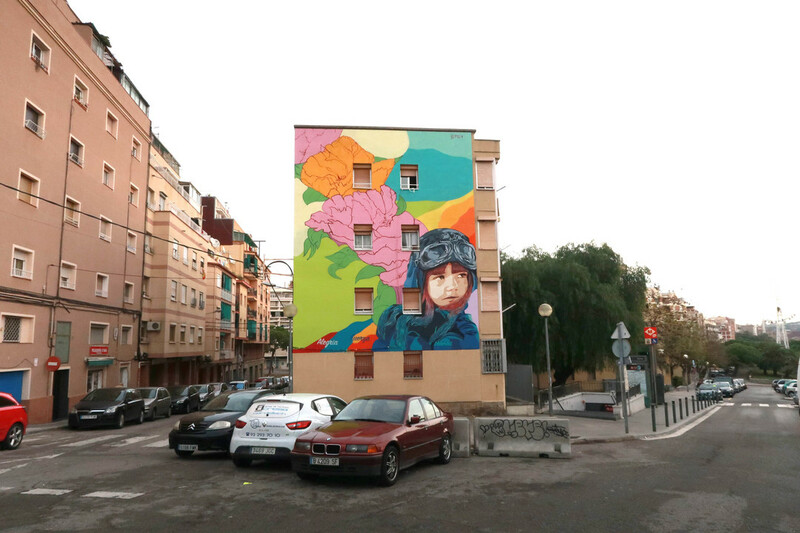 At the beginning of December 2018, the artist Btoy performed a mural in one of the buildings in the neighbourhood of La Florida (Hospitalet del Llobregat) within the framework of the “Plan de Regeneración Urbana Integral Les Planes - Bloques Florida”, promoted by the town hall of the city. To carry it out, some participatory sessions were performed with the neighbours in order to create the idea and design that would configure the mural so that it could be executed later. The objective of this intervention was to return the colours to the neighbourhood, improve its conditions through art and vindicate the role of women in the society.